It was a love affair on Saturday, July 22nd. One hundred thirty-two lonely bicycles found their match in the form of overjoyed children anxious for their first ride. There were many countries and languages represented, but these bicycles transcended all barriers. No amount of economic or social disparity mattered on this Saturday. In turn, our community gained new riders, and we at the Community Cycling Center are once again humbled by the experience. 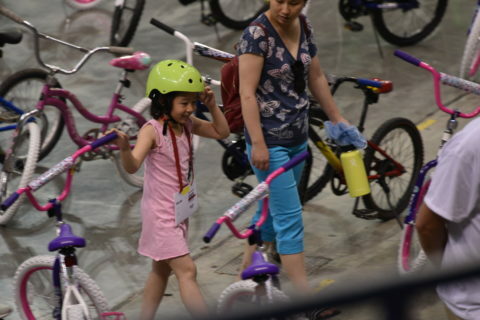 Volunteers from Fred Meyer and the Portland Trail Blazers, along with community members, helped ensure the children from low-income households received safety education, helmets, and a shiny brand-new bike, carefully assembled, mechanically checked, and custom-fitted to each kid. 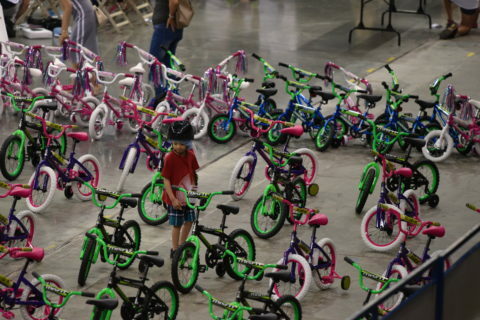 You can join us at our next bike giveaway – our annual Holiday Bike Drive in December! 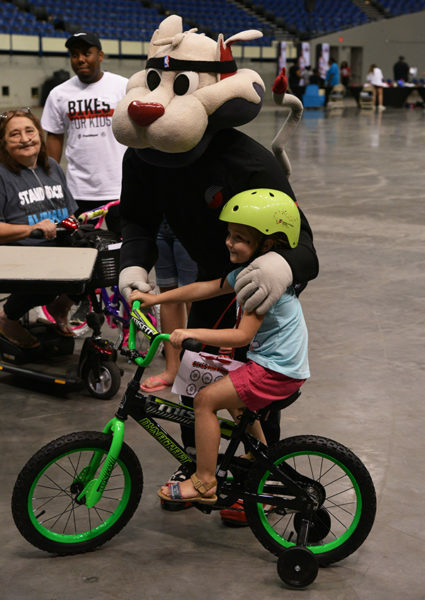 Contact Community Cycling Center’s Volunteer & Event Manager, Hanna Davis, at hanna@communitycyclingcenter.org to learn more about volunteer opportunities.